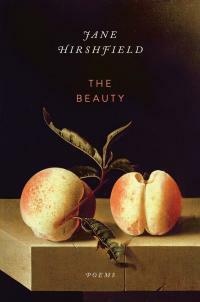 Today I attended a lecture on “Writing Poems, Writing Books” at Vanderbilt University by Jane Hirshfield, an American poet whose honors include election to Chancellor of the Academy of American Poets in 2012 and work in seven editions of Best American Poetry. 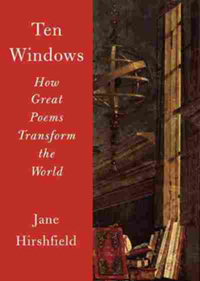 Her most recent books are Ten Windows: How Great Poems Transform the World (Alfred A. Knopf, 2015)1 and The Beauty: Poems (Alfred A. Knopf, 2015)2. Below are my notes on the questions she asks herself while revising (with some paraphrasing, and her copious explanatory comments left out since I can’t write that fast!). What does the poem actually say on the page? Is it saying what it wants to say? Is it confused? Does the poem know more than I did when I started writing it? Did I discover anything? Is there music? Does it need a more deeply living body of sound? Is the music helping its meaning? Does the visual shape of the poem [lines, line breaks, stanzas, etc.] serve its meaning? Do any digressions serve the poem? Are the poem’s awkwardnesses and smoothnesses in its own best service? Are there any cliches in words, images or ideas? Is the grammar correct? Does wrong or non-standard syntax serve the purpose of the poem? Are the transitions serving the poem? Are the ideas and rhetorical gestures in the right order? Does the diction [ornateness/simpleness] fit the meaning? Do each of its moments move it forward? Should it go out into the world or is it the seed for another poem? 1 Buy Ten Windows: How Great Poems Transform the World (Alfred A. Knopf, 2015)1 from your local bookstore or online at Amazon; Barnes & Noble; Chapters Canada; IndieBound; or Powell’s. 2 Buy The Beauty: Poems (Alfred A. Knopf, 2015) from your local bookstore or online at Amazon; Barnes & Noble; Chapters Canada; IndieBound; or Powell’s.